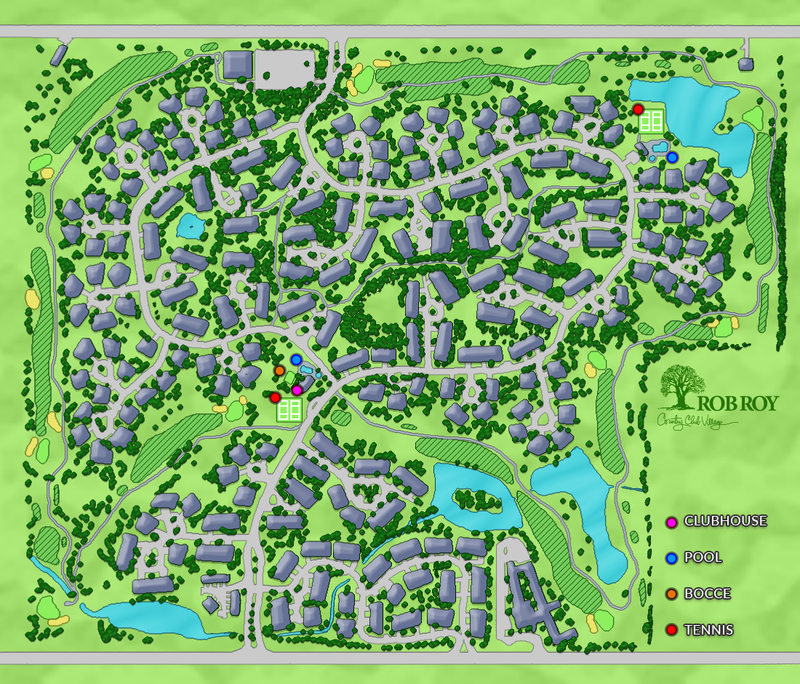 Rob Roy Country Club Village is a unique concept Condominium complex. There are 650 units with a collection of 20 different floor plans designed to fit the living style and taste of individual owners. 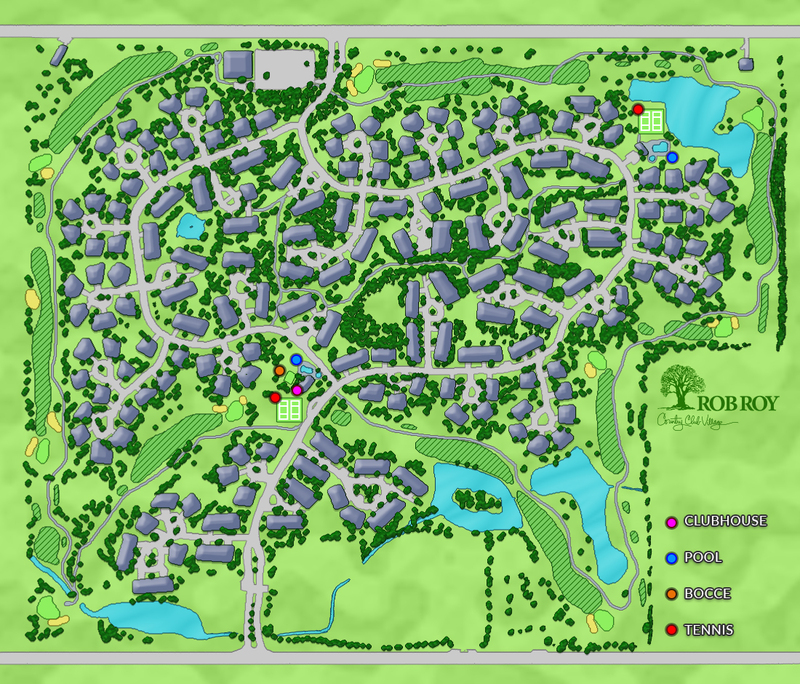 The home designs in Rob Roy Country Club Village include Villas, Country Homes, Carriage Homes and Arbor Homes. All of these are set into the lovely Rob Roy Golf Course. Care has been taken to retain the views of the course while protecting the privacy of the residences. The builder retained the landscaping and the topography of the site and provided a wide choice of living styles from private duplex residences to more typical condominium living. If you are a resident looking for maintenance requests and all other association documents, please visit the Resident Portal. Residents hold positions on an elected Board of Directors that manages the exteriors of the homes and the common areas of the complex. They respond to the needs of the residents and work as a team with RealManage, an off-side management company with two part-time on-site managers. Volunteer committees oversee and plan the activities and amenities of the complex. The elected board members act as liaisons to the committees. The committees include Social/Recreation, Pool & Tennis, Architectural & Maintenance and several others that are needed to oversee the complex. This insures that no one is over-worked and activities are well run. They have been so successful that Rob Roy has received national recognition several years in a row as "One of the top 10 Condominium Complexes in the USA" and has been elected to the National Condominium Association Hall of Fame. The Rob Roy clubhouse houses the on-site management staff and functions as a place for community-sponsored events. Rental of the clubhouse for personal events is available to homeowners in Rob Roy.